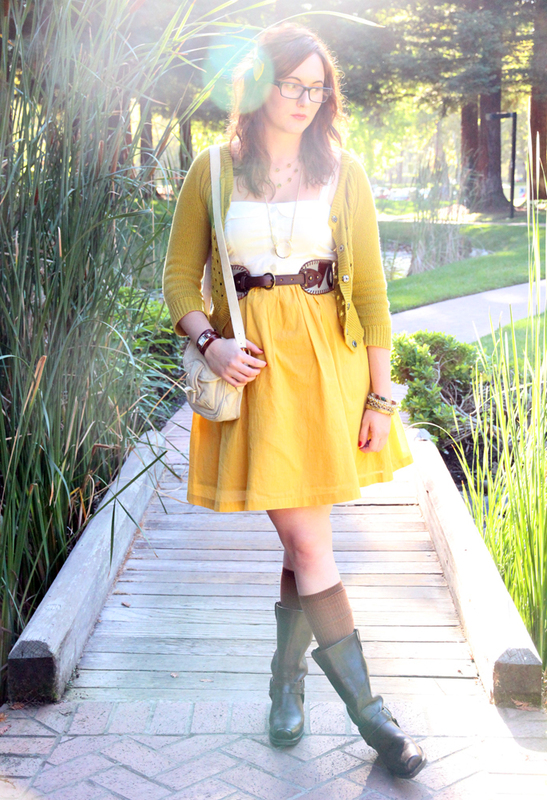 Dress: Anthropologie. 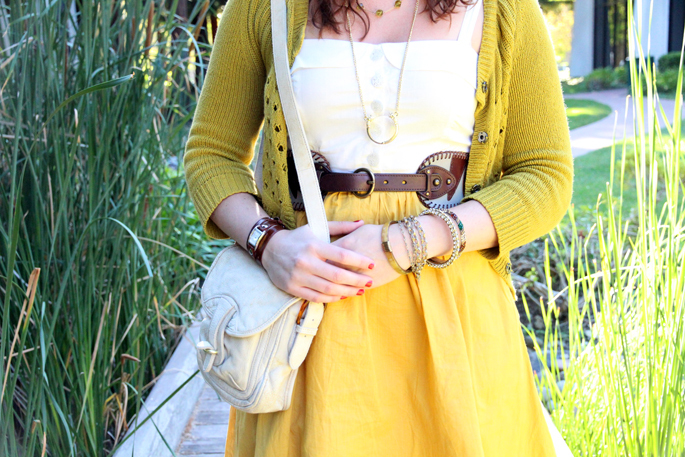 Cardigan: Anthropologie. 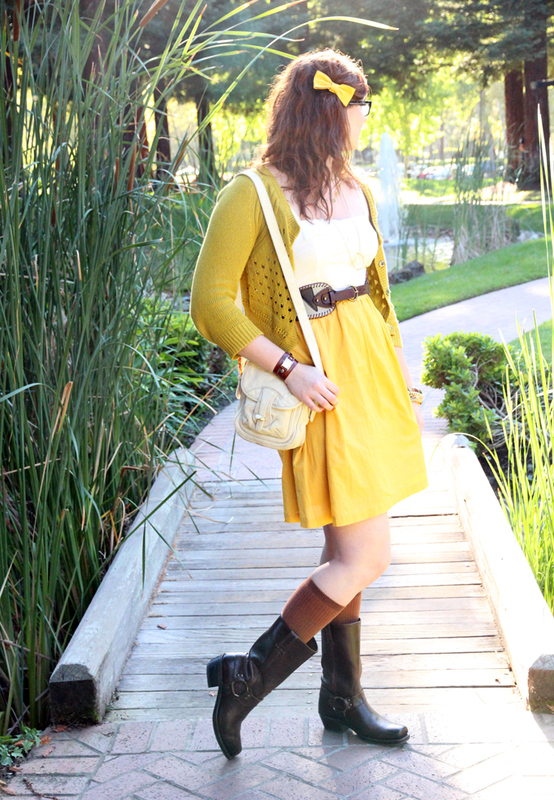 Belt: Anthropologie. Boots: Frye. Socks: H&M. Bag: Anthropologie. Bow: American Apparel. Watch: La Mer (c/o). Necklaces: Banana Republic (similar style), Kenneth Jay Lane (c/o ideeli). Bracelets: Century 21, Vintage, Kora (c/o). Glasses: John Varvatos. I think it’s high time I come forward about my obsession with garish colors. 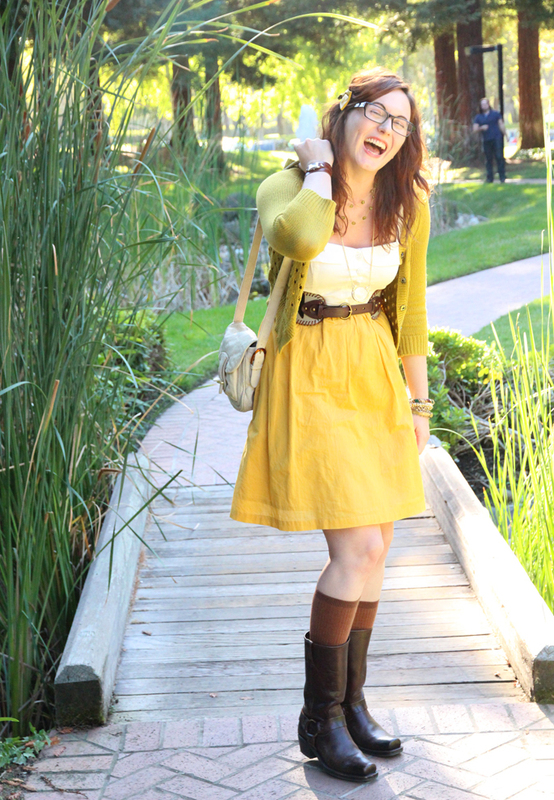 For the past year or so I have been absolutely obsessed with the pea-green/chartreuse color of this cardigan. I just can’t get enough of it! That and mustard yellow ( a color crush I’ve had for many years). It’s probably obvious, but I just thought I’d put it out there. Also worth mentioning is the super nerdy cool magnifying glass necklace I got from ideeli last week. The nice folks over there gave me a credit on their site when I attended the LuckyFABB conference a few weeks ago, and this is what I picked out. I thought it was a fun find. You like?